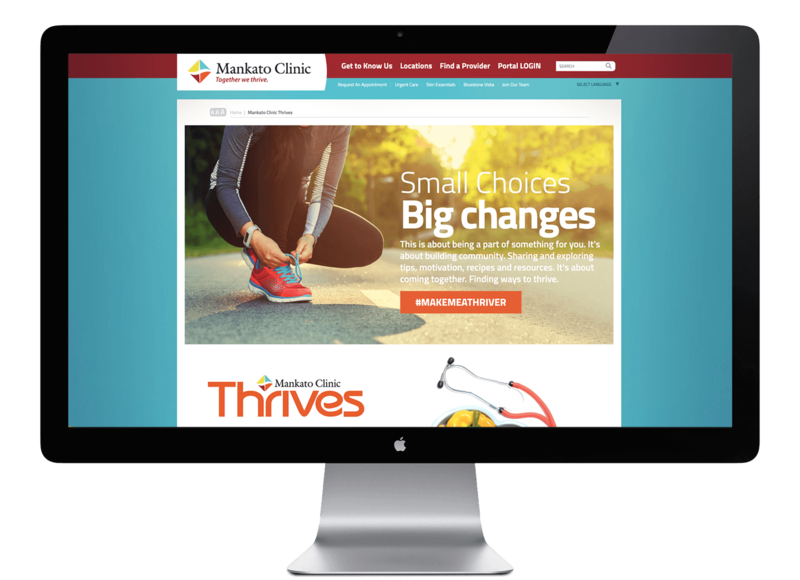 A year after working with us to name, implement and introduce Thrive—a successful community health initiative—Mankato Clinic wanted to rev up participation again. We created a new, more interactive Thrive mini-site to live on the clinic’s website. We packed it with blogs, recipes, health assessments, resources and an invitation for the community to share their “thriving thing” at #MakeMeAThriver. 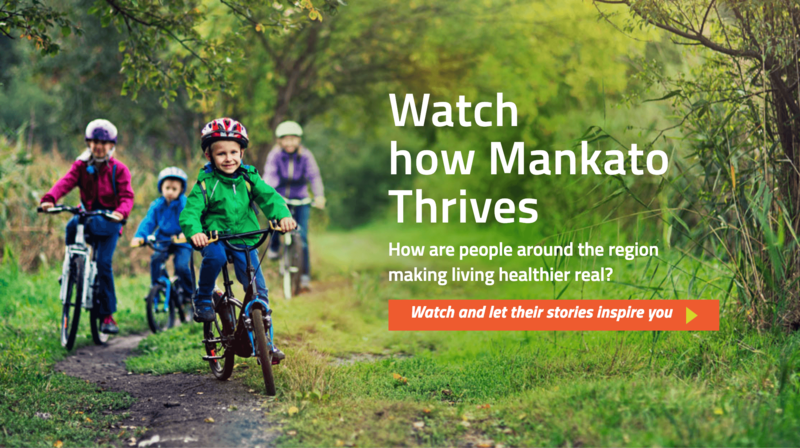 A partnership with a local television station featuring weekly videos of real people thriving was strengthened, with the videos also being shared on the new Thrive pages.